We offer a wide range of services for your home or business. By having your carpets regularly cleaned, you are not only keeping them smelling fresh and hygienic, which improves the air quality within your home, you are also removing the build up of dust and soils that build deep within the fibres, helping to shorten their lifespan. Upon arrival, we will then pre-spot difficult stains and pre-spray your carpet with our environmentally friendly cleaning solution. The next stage is to use our specialist equipment to agitate the carpet to ensure an even distribution of the pre-spray deep in to the fibres of your carpet, and this process also helps to remove stains, and is followed by the full extraction of the dirt and soiling from the carpet. Here at Mrgreencarpets we apply the same exacting standards to deliver a professional, affordable and quality sofa and upholstery cleaning service. By having a regular and professional sofa and upholstery clean, you will not only enjoy the feeling of sitting in a refreshed chair or sofa, you will reduce the wear and tear of the fabric and increase its lifespan. 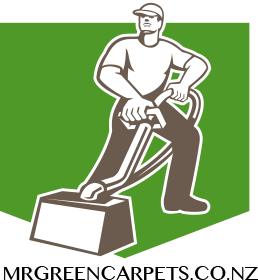 Mrgreencarpets can provide a professional and affordable cleaning service for commercial premises across Wellington and Lower Hutt including offices, hotels, shops, retail outlets, clubs and surgeries. Our team have the experience to cater for any size premises, big or small, and can provide one-off visits or regular maintenance contracts. We understand that interruptions to the working day cost money, so we are available on Saturdays and are happy to work with you to minimise disruption to your business. If you have any queries don’t hesitate to call us on 0226 106 535.